A Cardboard Problem: Finding errors in your collection you didn't know existed ... are they worth anything? Finding errors in your collection you didn't know existed ... are they worth anything? A funny thing happens when you're sorting cards. You might discover a card that you hadn't realized existed. As I work through my Derek Jeter cards -- finally creating a want list and putting together a definitive list of what I own -- I came across on an error card. 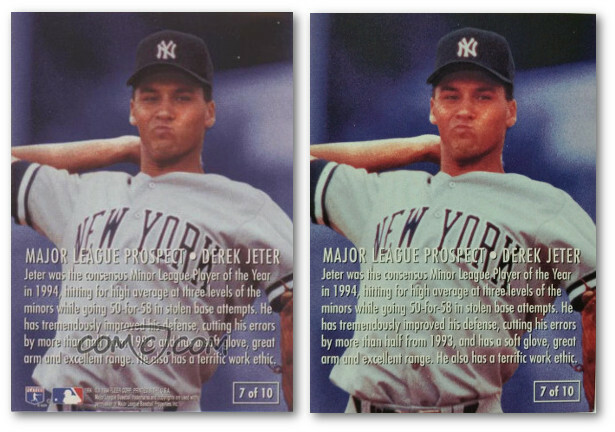 The 1995 Fleer Major League Prospects -- Jeter's first Fleer card -- has two different versions. One has all the correct marking on the back while the other is missing the licensing marks from the bottom of the card. It's not a significant error nor one that seems to be worth much. There are several of both cards listed on COMC starting at the low, low price of $1.65. Beckett doesn't even list the error, where PSA has it separated out for the master collection. When looking in my binder, I realized I had the card with no markings. Great, I already had the error card out of the way, so now I needed the correct version of the card. Amazingly, I couldn't find this card in box of Jeter doubles, so next time I'm at a card show, I'll have to look a little more closely at the backs of these cards. 2. There is a corrected version of the card. With modern cards, error cards usually remain just a widely circulated error. These error cards, usually, carry no premium. However, there have been famous error cards throughout the years that are very valuable. 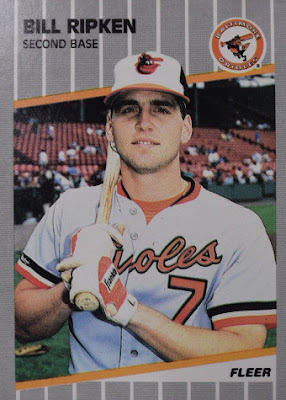 Topps mistakenly used the reverse negative for this card image and Aaron, one of the greatest home run hitters, is pictured as a left-handed hitter. On the first print run, Bonds' teammate Johnny Ray is featured instead of the slugger. 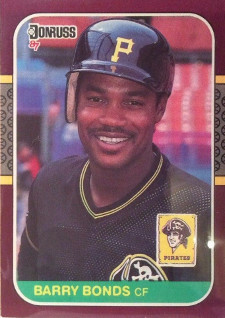 However, Donruss fixed the mistake on subsequent printings, which makes the error much more valuable. The Ray error card has been sold for hundreds -- if not thousands in a high grade -- while the Bonds rookie sells for far, far less. We all know what is said under the black or white box that Fleer put on different printings. The expletive made it onto some of the cards before it was noticed and the company covered it up. There are several versions of this card with the book value ranging widely on them. The original without any airbrushing is popular, but actually not the most rare. The card with the "white scribble" where it looks like someone tried to write over the bad words sells for the most on the secondary market. Another popular and valuable error card is Frank Thomas' 1990 Topps card that has no name. One of the reasons it became so valuable is because a corrected version in a much higher quantity exists. The no-name version of the card will run collectors hundreds, if not, thousands of dollars. These days, missing name happen from time-to-time on cards that have the name stamped in foil. Sometimes during the printing process, there will be a run where the foil is missed. When caught, the cards are removed and destroyed, however, a number still make it through. These won't fetch dollars like the Thomas card. For the most part, the only people who would chase the missing foil cards are probably player collectors looking to have as many different variations of a card that are possible. Error cards have always interested me. Since you work for Topps I'm not sure if you'd be able to comment on the Topps Now John/Josh Harrison card, but I'd love to hear your thoughts if you can. I actually collect missing foil errors (all errors in general) I even wrote up a post ranking the kinds of errors in order of rarity but I never posted it. I need to work on posting my error collection more, I have some spectacular miscuts. I'll have to share a few of mine, especially the linked '72 Topps. I bought them from the same LCS, they had to have came from the same box or pack. They line up too perfectly! My first was the Bump Wills Blue Jays/Rangers error. 79 Topps. The Wills was one of my first errors too. 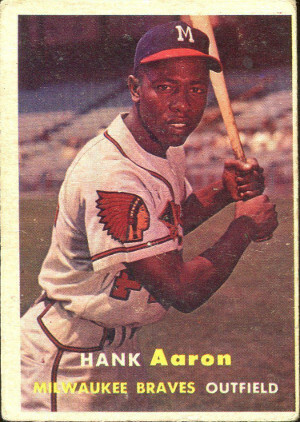 Along with the plethora of errors and variations in the 1981 Fleer set. That Ripken card is the reason I never ripped any 89 Fleer. It was crazy what boxes and packs were going for back then. I always enjoy finding cards that are errors or parallels that I didn't know when I pulled them or bought them. It is kind of like a gift that gave again. 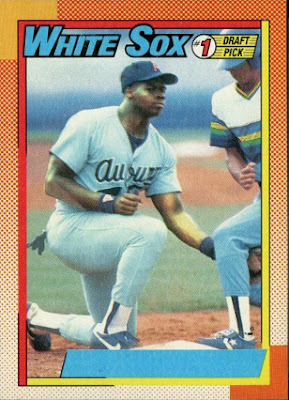 I do chase Ken Griffey Jr. error cards because of their uniqueness l.